If you love the classic combination of peanut butter and jelly this Strawberry Sunflower Smoothie is right up your alley! Ever since Kenya declared his commitment to being a vegetarian I’ve tried to ensure he still gets enough protein in his body. 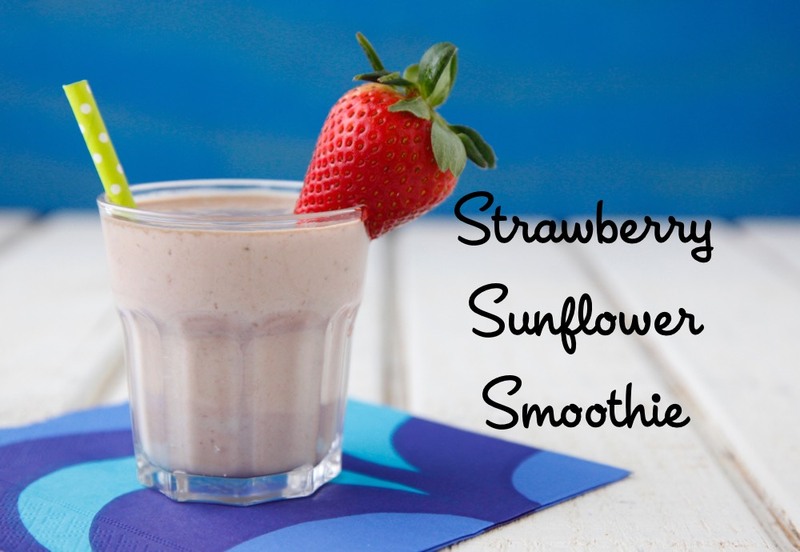 By adding sunflower butter (also known as sun butter) to this smoothie he gets a protein packed punch that provides a great start to his day or serves as a nutritious after school snack. 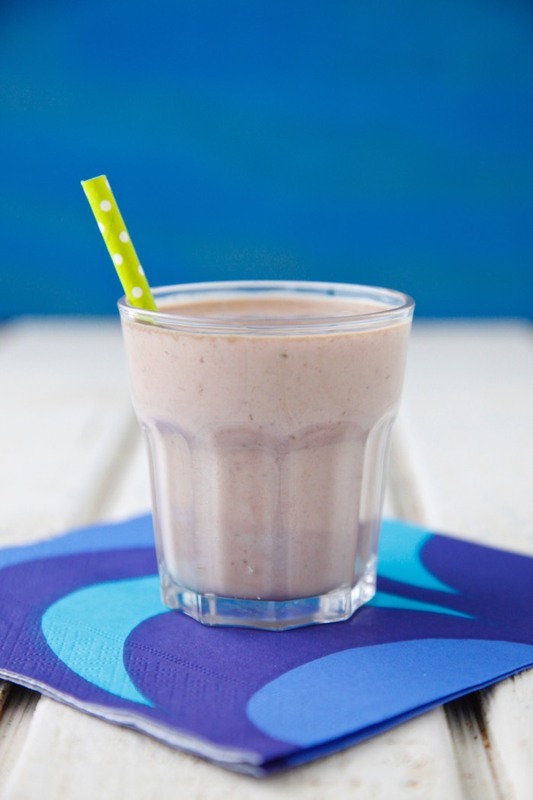 You can certainly use a nut butter in this recipe such as almond, peanut, soy or cashew, but there’s something we love about using sunflower butter (which also makes this smoothie a great nut-free option for those with allergies). I find that sunflower butter tastes just like peanut butter, but with a slightly earthier taste to it. 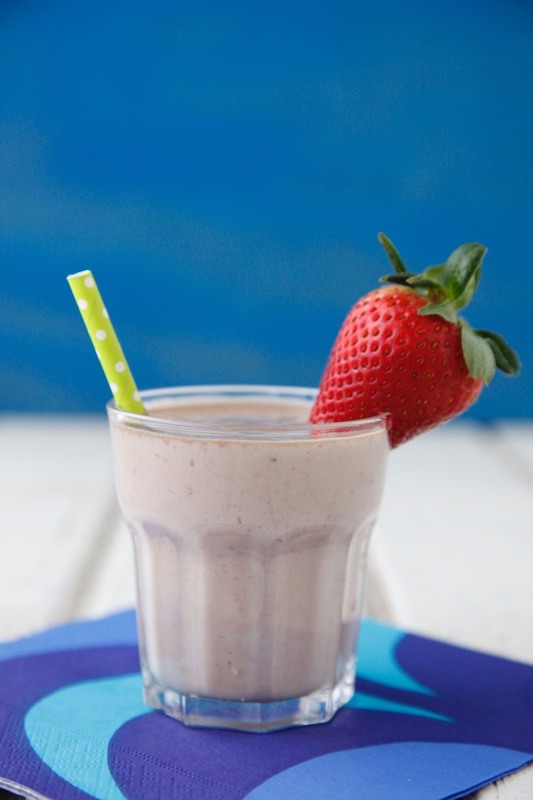 When mixed with fresh strawberries and milk this drink is a major treat which tastes more like a decadent milkshake than a healthy smoothie! Sounds delish! Is this okay to give to my 1 year old son? If he has had success with other seeds and dairy and there isn't a history of allergies in your family, then this should be just fine! Love your emails and don't want to miss them! I am subscribed under [email protected], which has been closed. Silly question time: is it sunflower seed butter? I have that in my fridge but wanted to make sure that's what you're meaning. I've never seen just sunflower butter so I'm assuming it's one in the same. My daughter can usually detect the difference and refuses sun butter alternatives, but I may try to sneak this one by her. Sounds delish! Christin, You are right... sunflower seed butter = sunflower butter = sun butter. We just came back from a Disney Cruise, and one that all 3 of us enjoyed was a Strawberry, Mango, and Orange Juice smoothie. If you knew my husband, he is extremely selective (a term our server used, since when you want to eat, you want to make sure you like it, a more positive term than picky), and he's never been big on sweets, but all 3 of us enjoyed taking sips of one from the Olaf cup they put it in. So I plan on trying to replicate it with a few health additions, because it was health (especially compared to ice cream and sodas, but something different than water), but could be better. Whoops, somehow I got confused and thought this was the page for Smoothie Project page.